Fees associated with filing trademark applications in Croatia as well as other trademark fees are available in the fee calculator. Multiple-class trademark applications are possible in Croatia. - representation of the trademark. A signed Power of Attorney is sufficient for the accomplishment of a trademark registration in Croatia, without legalisation or notarization. POA must be filed within 60 days upon receipt of the official invitation from the Croatian IP Office. The certified copy of the priority document must be translated into Croatian and certified by the court interpreter. It must be submitted to the patent office within three months from the application date. Opposition against trademark application in Croatia may be filed within three months from publication of the application. A trademark in Croatia is valid for ten years from the date of filing. The registration of a trademark may be renewed for periods of ten years each, provided that the holder of the trademark files a request for renewal of the trademark registration in the course of the last year of the ten-year period of protection. The request for renewal of the registration of a trademark may be submitted within the additional period of six months following the expiry under condition of payment of a surcharge. A Power of Attorney is not required if the agent stays the same. A trademark registration in Croatia may be revoked if, within a continuous period of five years following the date of registration, it has not been put to genuine use in the Republic of Croatia in relation to the goods or services in respect of which it is registered, (or if such use has been suspended during an uninterrupted period of five years) and there are no justified reasons for non-use. Foreigners must perform a trademark prosecution in Croatia through an agent, a registered Croatian trademark attorney. Any sign capable of distinguishing the goods or services of one undertaking from goods or services of another undertaking may be registered as a trademark in Croatia. Particularly, words, including personal names, designs, letters, numerals, the shape of goods or of their packaging, three-dimensional forms, colours, patterns, sounds, multimedia, holograms as well as the combinations of all the above indicated signs. 1. Online Search Databases: Croatian Trademarks, EU Trademarks, International Trademarks. 2. 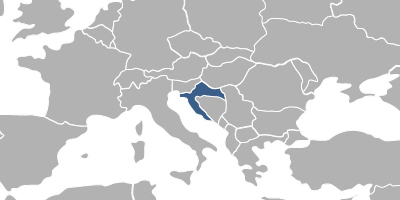 Trademark protection in Croatia may also be obtained via registration of a European Union Trademark.